It might make its appearance known slowly and surely…but when you hear that word, everything changes in an instant. Whether you choose to accessorize with it or not, you wear it around your neck every day…weighing you down and clanging against everything. You never forget its there. My dad has been diagnosed with lung cancer. I can’t pretend I am surprised – he has been a life-long smoker who has flown in the face of authority and expertise about it. Cancer? Who me? Naaaaah. Pass me my smokes. Does that realistic perspective make what I’m about to start going through any easier? Not in the least. Now…he is a man in his 70’s facing what is most likely the second most difficult thing in his life second to losing his wife – something we both just got over (if one ever truly gets over it). In the span of less than two years, I will have seen both of my parents go through physical deterioration and struggle. One can only hope the outcome of this is better than my first go-round. This blog has been quiet since my birthday…but I didn’t want you to think I have expired. Quite the contrary. I had amazing meals, great wine, tons of laughs – all of which I shared with a uninvited guest in the room named Cancer. It loomed in the back of my mind…and rightly so. The diagnosis happened the Friday of Birthday Week (tm). In true cosmic form, my work schedule has really amped up…something I am very grateful for. It helps keeps me focused on positive things and forces me out in the world. So…I will be away from the blog for another few days. I have my head up and I’m moving along with whatever the world hands me. Thanks to the few of you who have dropped me a line wondering where I’ve gone. I’ve been missing on the cooking front…but not for long. I have a great sweet potato recipe I’m dying to make…a barley salad that looks divine…and that "bookmarked recipe folder" that would be bulging at the seams if it were in real time. I just need to get the time to take time for myself and cook. This blog is one of the few sure things I have…and I’ll always come back. I promise I’ll see you soon. So sorry about you Dad. 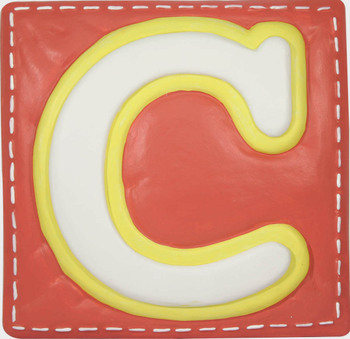 The C is a b****. But there is always hope and he sounds like a strong fiesty character.You have been through a lot this year, but you know what, you seem strong too. I’m so sorry to hear that Tami. I hope he responds well to the treatment. It is very brave of you to share your story. My thoughts are with you and your dad. So sorry about the news Tami. I hope for the best, of course. Good luck in this difficult time. My thoughts and prayers are with you and your family. Positive thoughts, food, wine and chocolate are the way to go on this one. Know that you have cyber friends sending good energy you and your dads way. Having been through lung cancer with my own seventy-something father, I know some of what’s going through your mind right now Tami. My thoughts and prayers are with both of you, hoping that you find a path to peace and hope. We don’t know each other except through the food blog world, but please realize that if there is anything I can do to help, I am here. Tami, my thoughts are with you and your family. I truly wish you and your father the very best during this difficult time. Tami, I am so sorry to hear such news. We send your way hugs, wishes and prayers for your dad and yourself as well. Be strong and hopefull, God doesn’t give us more than what we can carry. I do sincerely hope that you all get passed this hardship. I send you a hug and much strength and wishes that your father remain strong and beat this awful disease. God Bless you. Keep your head up and see you when you return! Stay strong, Tams – you and your father are in our thoughts. As other people expressed, I am very sorry about your father’s diagnosis. My wife was diagnosed with breast cancer last December at the age of 30. I am so sorry to hear about your dad, my mother just passed away at Christmas from lung cancer she was a long time smoker of some 70 years,I was with her every day from diagnose till she died, if you need to chat, email me I will help you through it.Again my sympathy. Oh Tami, I’m so sorry. Somehow we grow up a bit when we lose a parent. I am glad to be in your support through this difficult time Tami. You know we are sorry for the diagnosis, and somehow for the inevitability of the process. We are standing here with you. I’m a lurker here, loving your recipes. Just back from vacation and read your news. Please can I reassure you there is hope. My Dad is in remission from a cancer diagnosis and subsequent treatment in 2003 … my hopes and thoughts are with you. Just found your blog; love it. So sorry about your dad. I lost my mom, also a lifelong smoker, to lung cancer 11 years ago. My heart goes out to you, and my thoughts are with you. Even though you posted this a month ago, I’m just seeing it now. I just wanted to say that my mom was diagnosed with lung cancer two years ago. But don’t stop reading–because she’s cancer-free. It does happen and, oddly enough–I hear about it happening more and more, with lung cancer. I have two other friends who’s parent was diagnosed with lung cancer; both parents are cancer free. I hope your dad was diagnosed early, and ends up being ok.
Tami – I was actually just thinking about your mom, so came over to see you, only to read this, somewhat belatedly about your dad. I am so sorry to hear this. Someone very close to me just got over throat cancer and he is a smoker too. I can’t stop loving someone just because they choose to smoke, even knowing all the risks. That’s part of the reason we love them – for the defiant people they are. Wishing all the best for his recovery. Just found your blog and read this post — three members of my family have had lung cancer, so I know what you are going through. Hang in there!